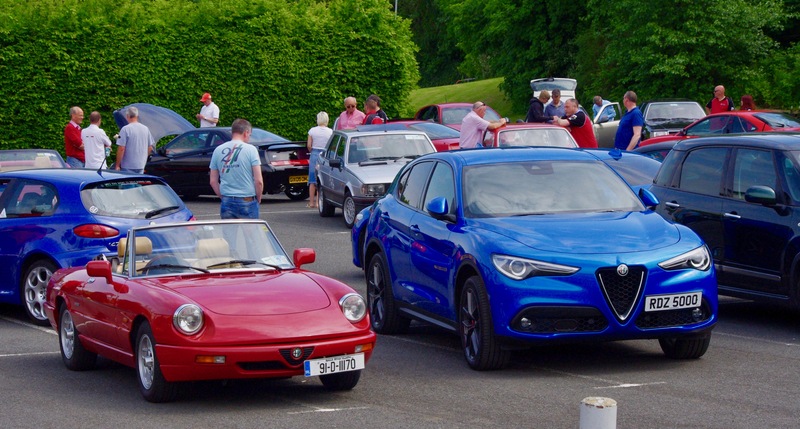 Maybe I am just getting older but it hardly seems like a year ago since our last All Ireland Italian Motor Event. 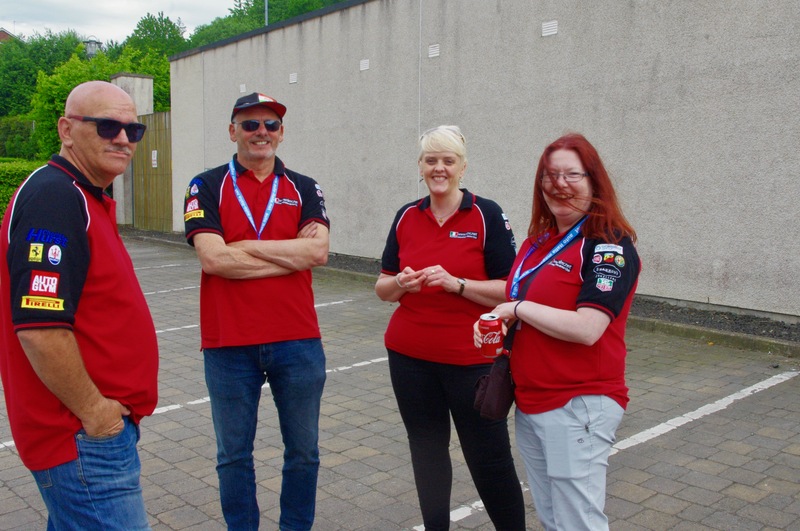 Club members were keen to stick with a winning recipe so we returned once again to the Gregg Street carpark at Lagan Valley Island (LVI), a picturesque and ideal location for our show. 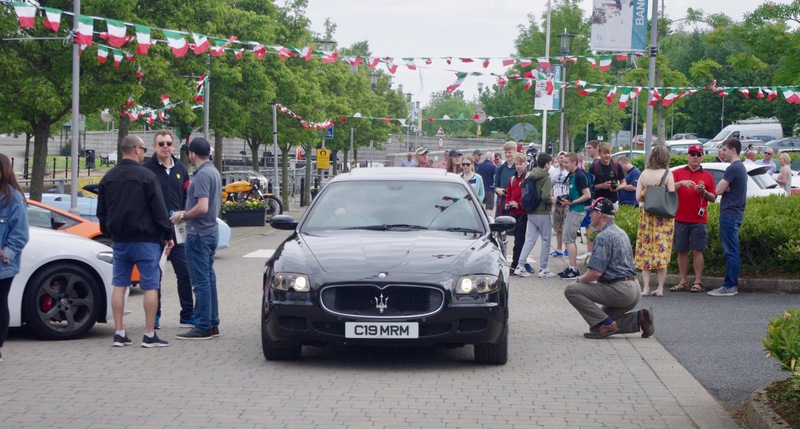 The carpark would be transformed into a stunning spectacle of glorious Italian design as Lisburn and Castlereagh City Council welcomed us back for the eighth time. 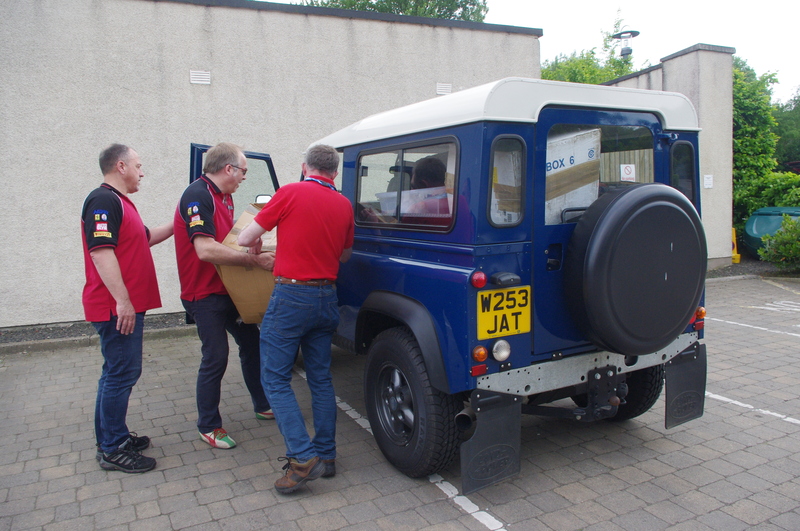 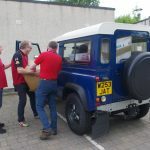 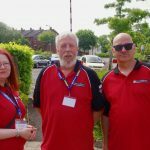 From shortly after 8am NIIMC members in their familiar red polo shirts arrived and soon afterwards the carpark was a hive of activity as we started to set up for the show. 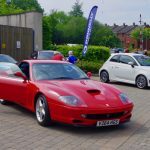 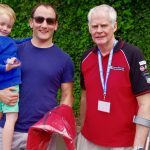 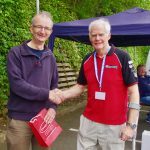 Our track record of delivering a successful car show without a drop of rain would hopefully remain as the forecast was good with dry weather and sunshine predicted. 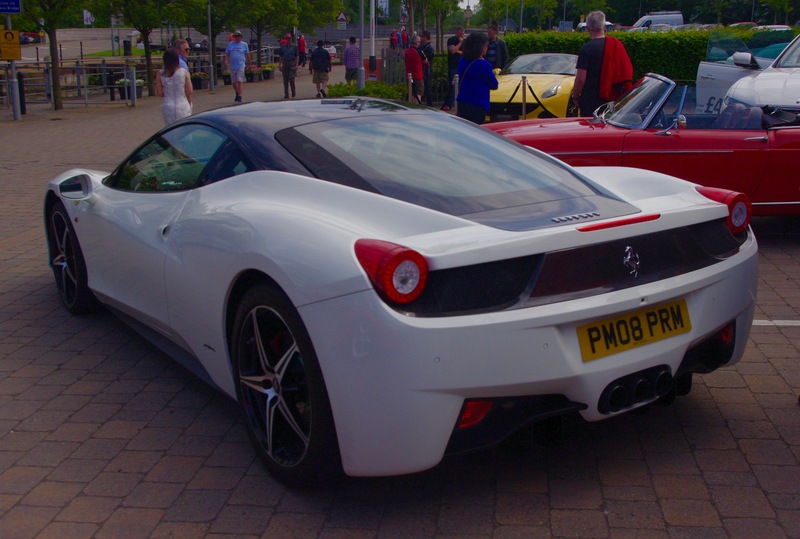 The car park was quickly transformed, ready to welcome visitors to LVI to admire some of the finest automotive designs in the world. 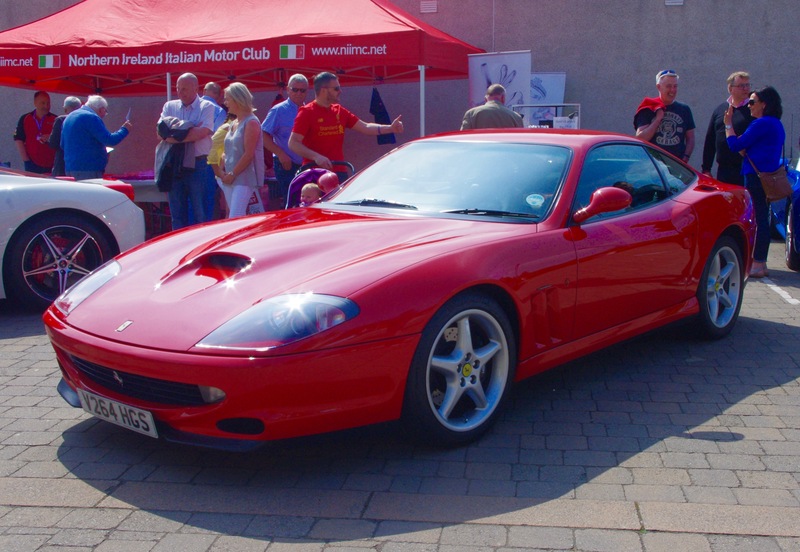 The bright red Italian Motor Club gazebo took centre stage and was adorned with posters encouraging enthusiasts of Italian vehicles to sign up and join the club or to purchase some of the club merchandise. 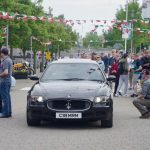 The green, white and red bunting added a touch of Italy to the event and it fluttered gently above as a signal to everyone arriving that they had come to the right place with their Italian cars and bikes. 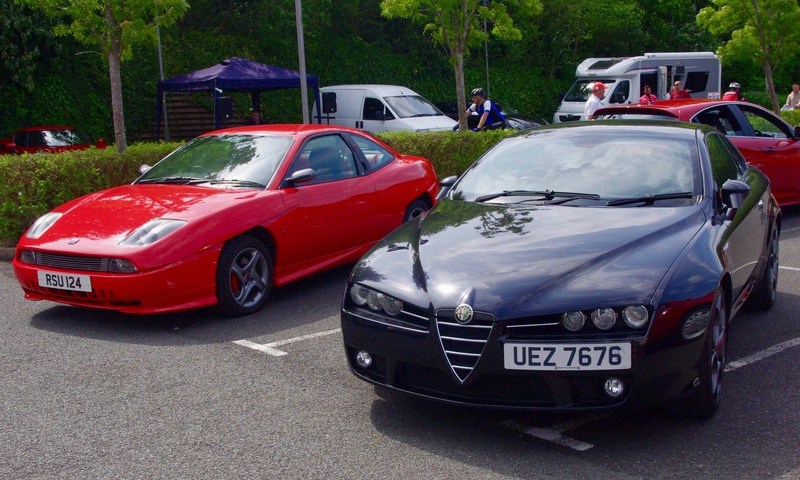 By 10am the carpark was starting to fill up with a good mix of cars, both old and new. 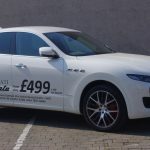 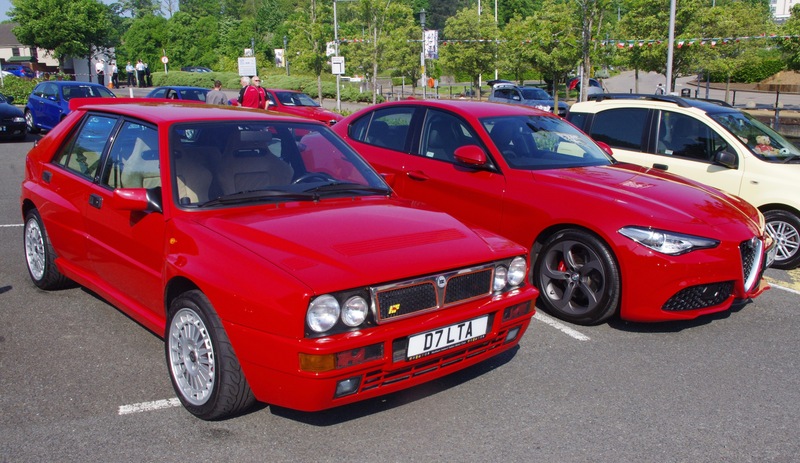 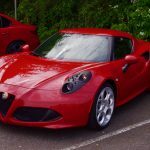 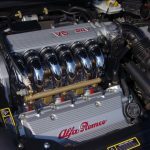 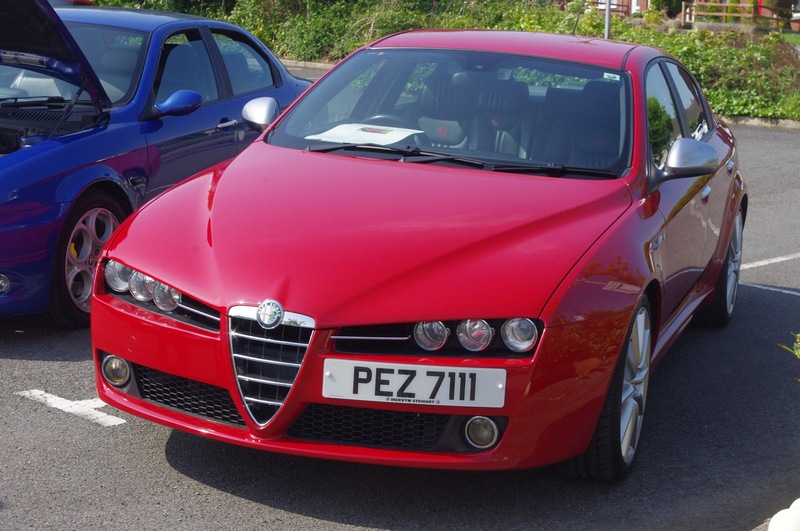 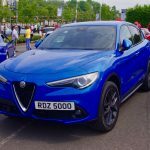 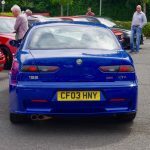 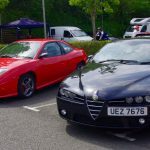 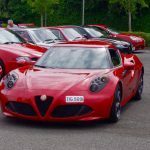 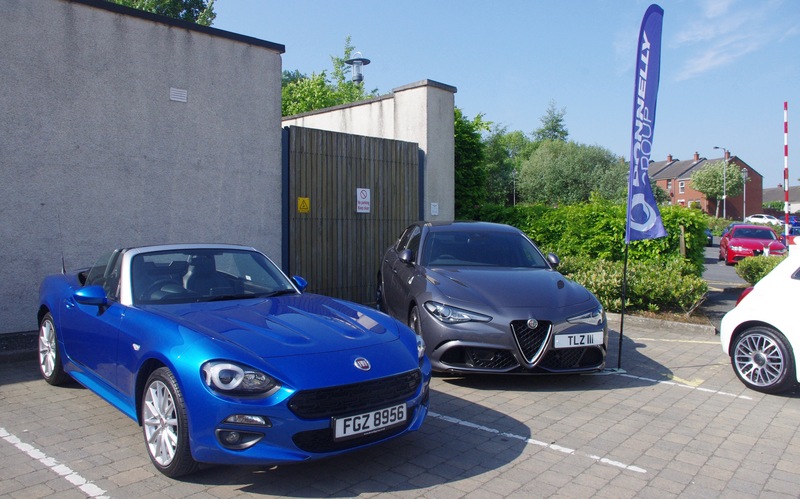 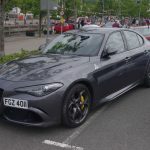 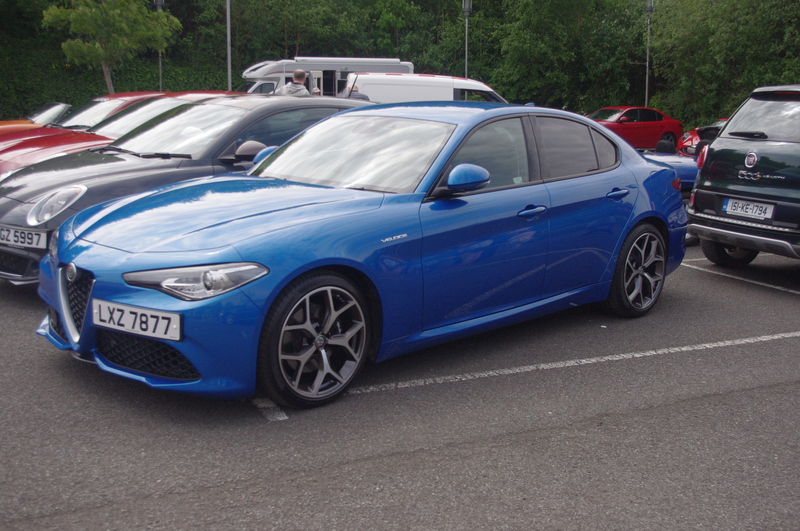 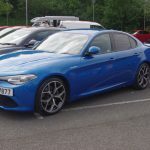 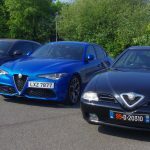 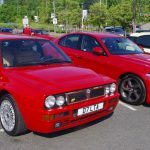 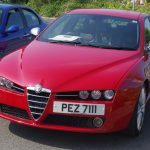 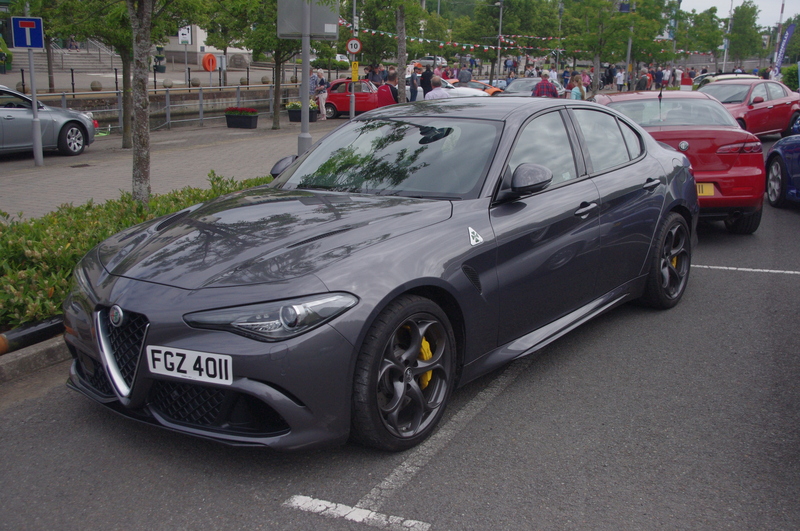 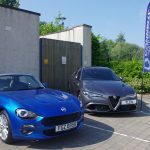 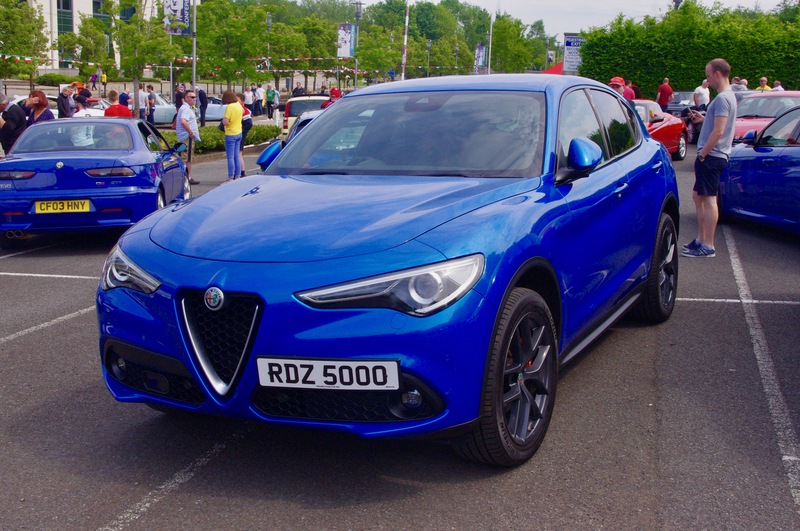 Donnelly Group and Charles Hurst Specialist Car Division had brought some of the latest offerings from Alfa Romeo, Abarth, Fiat, Maserati and Ferrari. 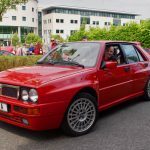 Our heartfelt thanks to Drew McVeigh from Donnelly’s and Marco Dos Santos from Charles Hurst and both their teams for bringing their cars and supporting our event. 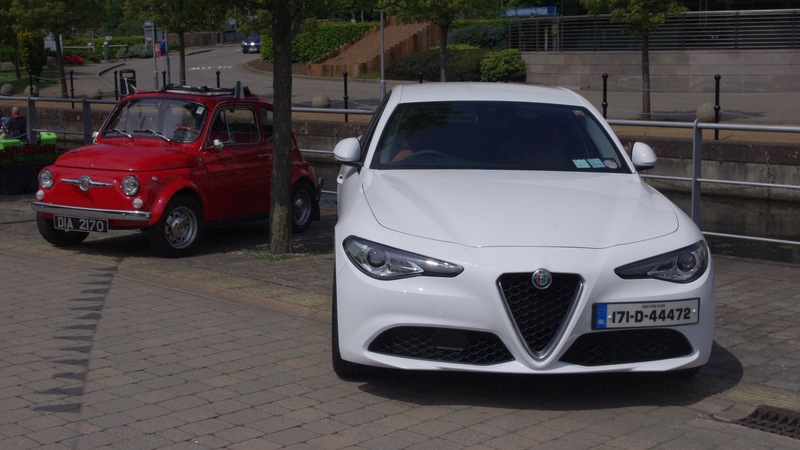 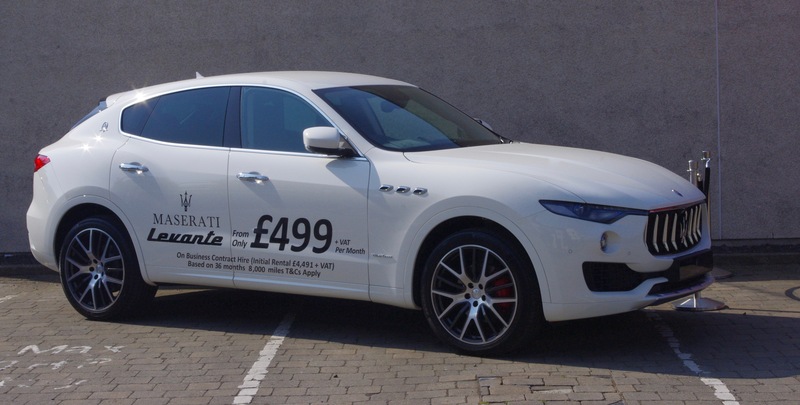 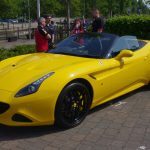 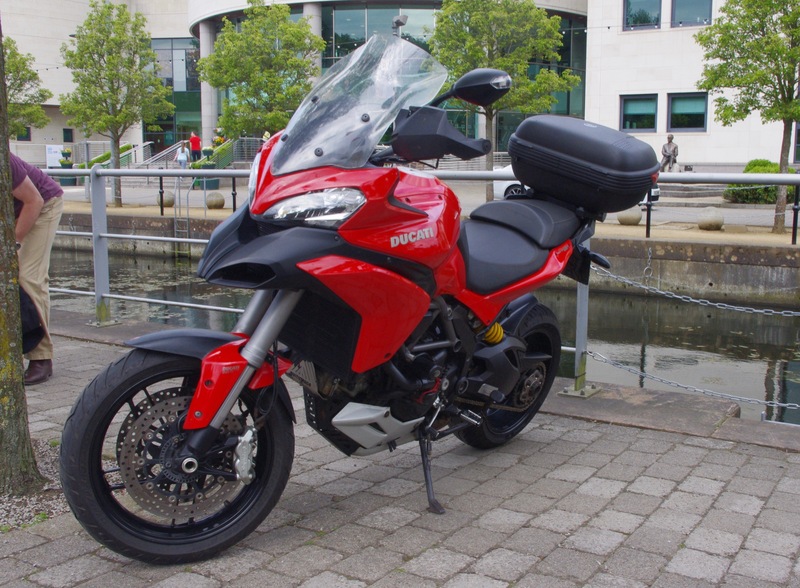 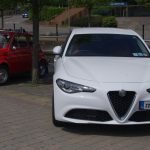 Cyclists and pedestrians using the Lagan towpath gazed in awe at the selection of stylish Italian cars that were gathering and the distinctive exhaust notes from some of the vehicles provided the perfect soundtrack. 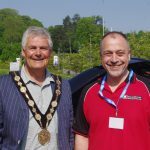 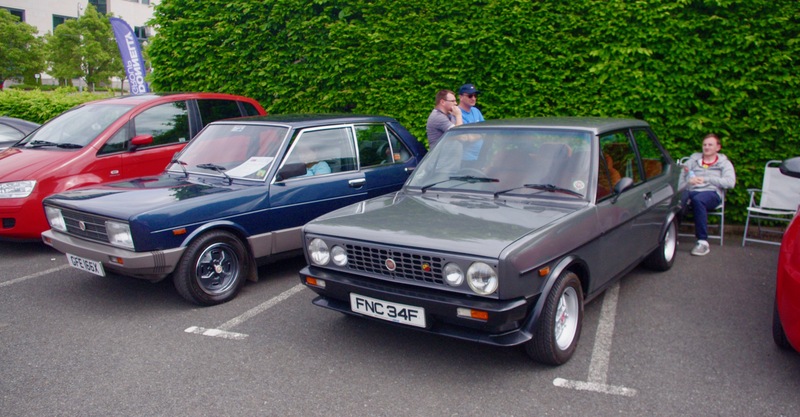 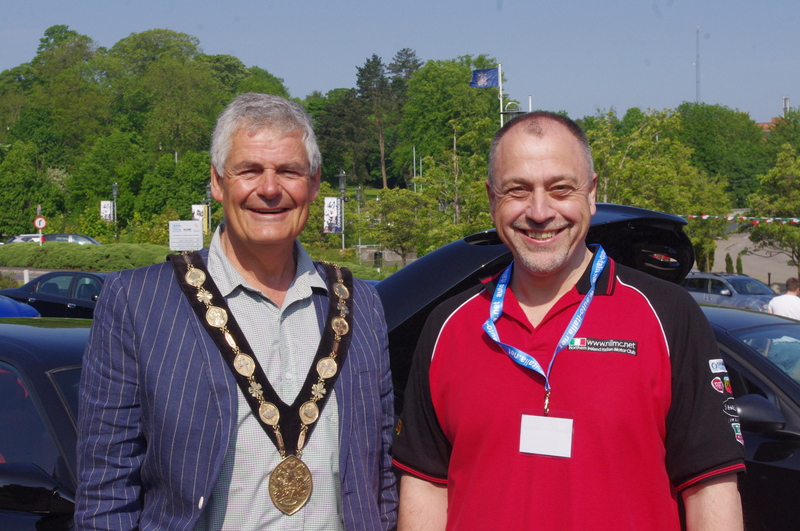 The Mayor of Lisburn and Castlereagh, Tim Morrow arrived to take a look at the cars and bikes on display and he was escorted by Club Secretary Alastair McIlroy around the carpark to meet the owners and look at Italy’s finest. 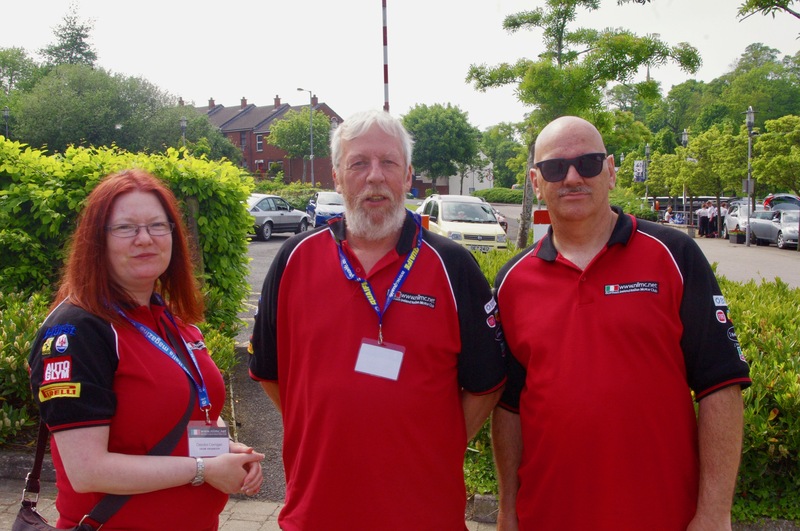 This year the sea cadets provided welcome support with meeting and greeting those arriving at the show and the added bonus for show goers was free trips along the river on boats skippered by the sea cadets. 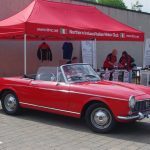 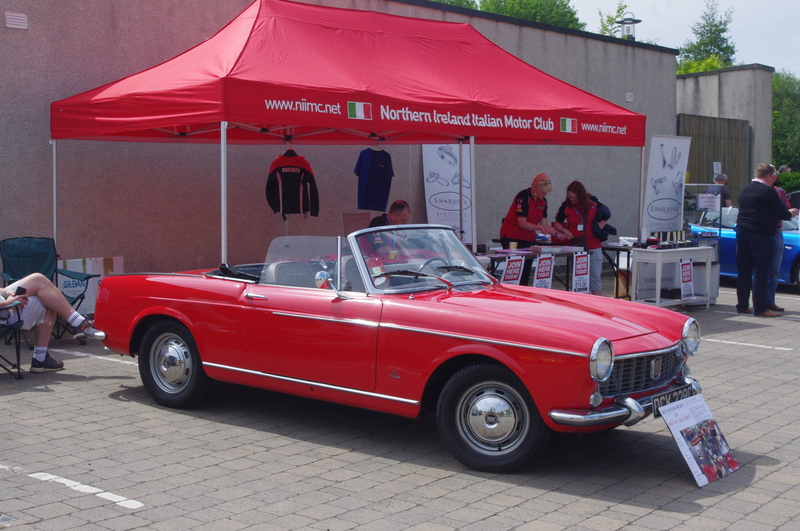 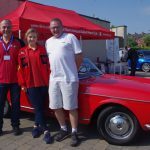 Club members were also delighted to see the familiar sight of a red Fiat 1500 cabriolet arriving at the show – this was Herbie McBratney’s pride and joy but sadly Herbie has passed away in June 2017 not long after last year’s show. 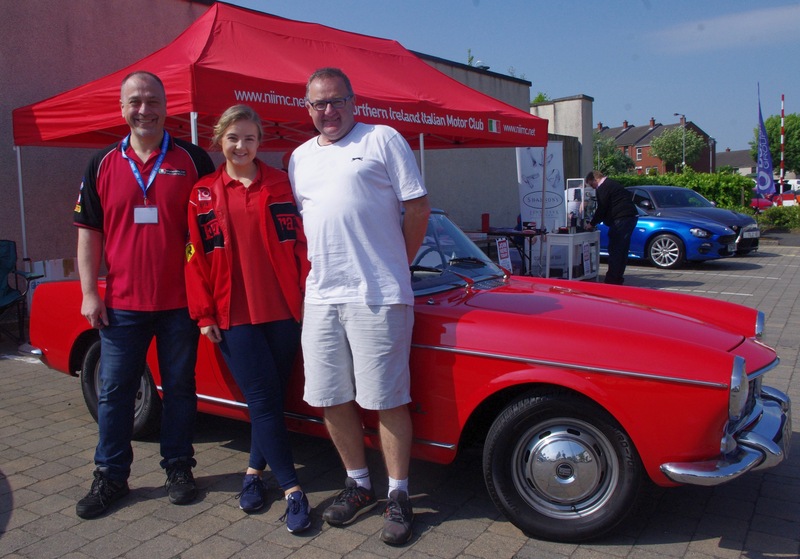 We all have fond memories of our fun filled times in Herbie’s company and it was an honour to welcome his wife Anne, his daughter, son in law and grand daughter to our show which was always a fixture in Herbie’s calendar. 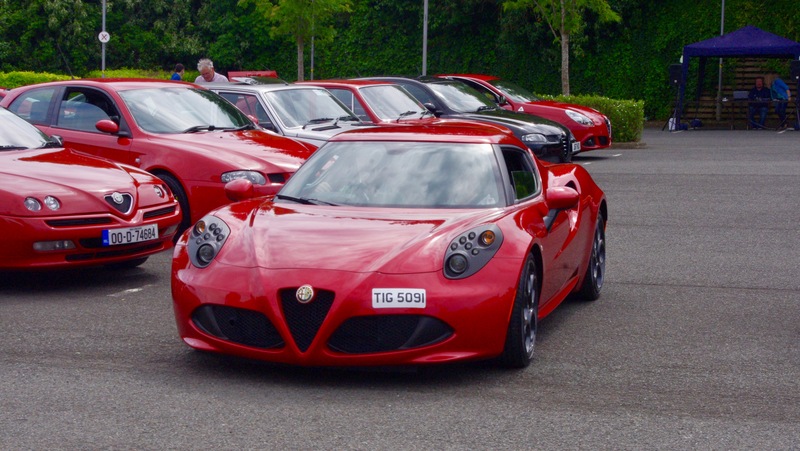 With the arrival of a selection of cars driven by members of the Alfa Romeo Owner’s Club Irish Section the line-up was almost complete. 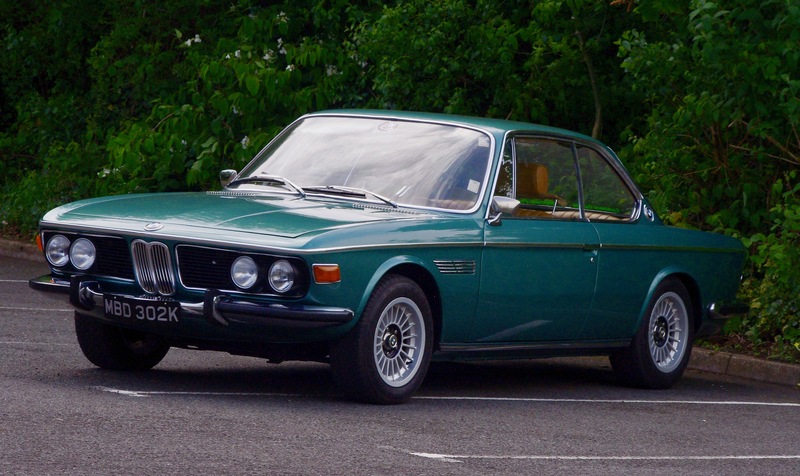 It was also pleasing to see a variety of other non Italian marques arriving to support the show with the stand out car being an immaculate 1970 BMW 2800CS driven by club member Jago Brett. 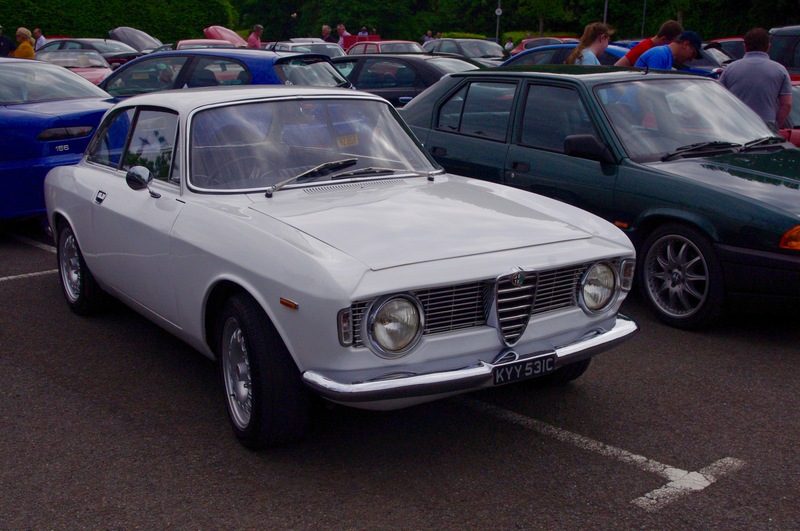 We forgave him for not bringing his Alfa and he was awarded the prize for the best non Italian car. 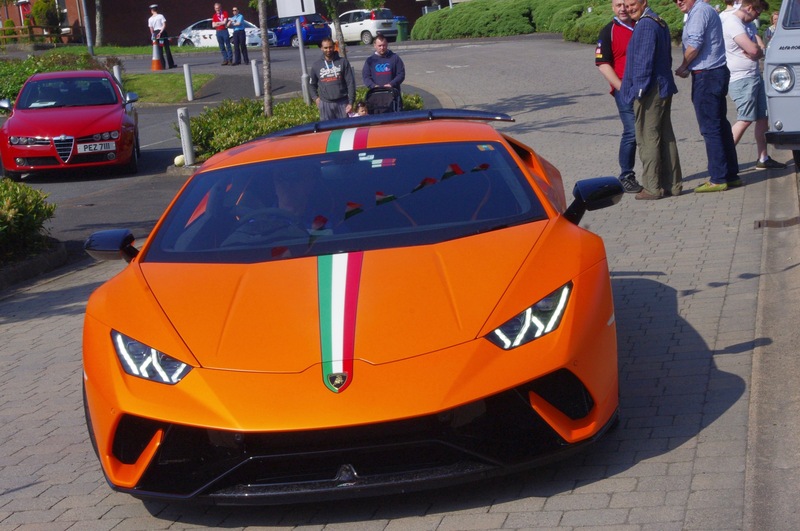 Last year we had two Lamborghinis at the show – and this year we matched this turnout. 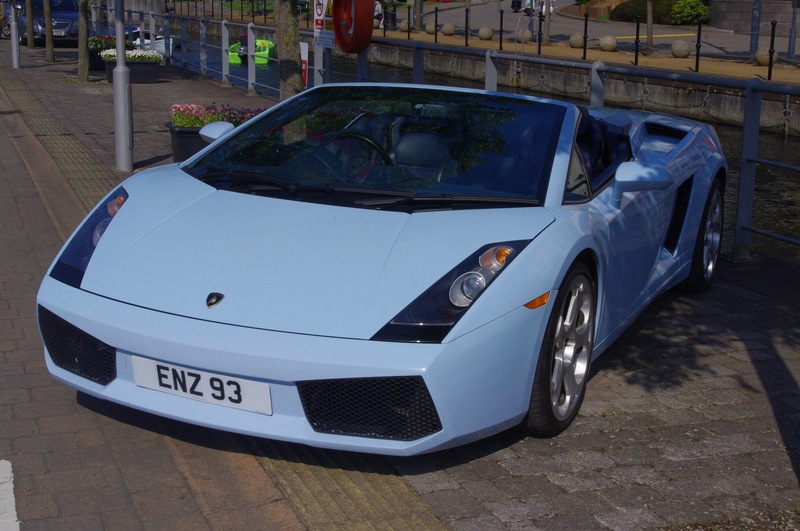 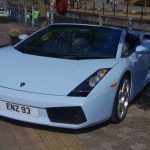 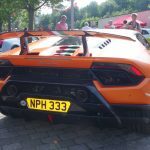 First of all Johnny McCall arrived in his baby blue Lamborghini Gallardo Spider and shortly after that enthusiasts noticed the very rare sight of a Lamborghini Huracan Performante rumbling into the carpark. 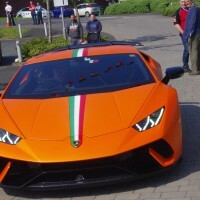 The car looked stunning as its bright orange paintwork glistened in the sun. 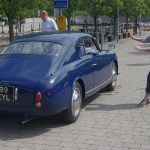 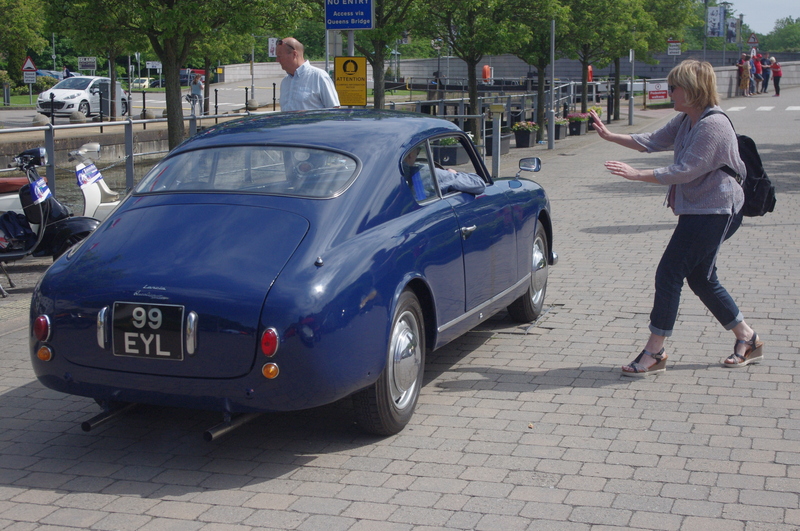 Many young car enthusiasts were keen to take photos and video the sight and sound of the car (preferably following a quick blip on the accelerator by an obliging owner!! 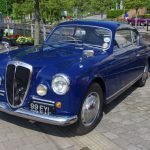 ).shortly afterwards an equally stunning Lancia Aurelia parked up beside the Lamborghini – an ideal contrast of old and new Italian design – the Lancia pre-dating the Lambo by around 60 years. 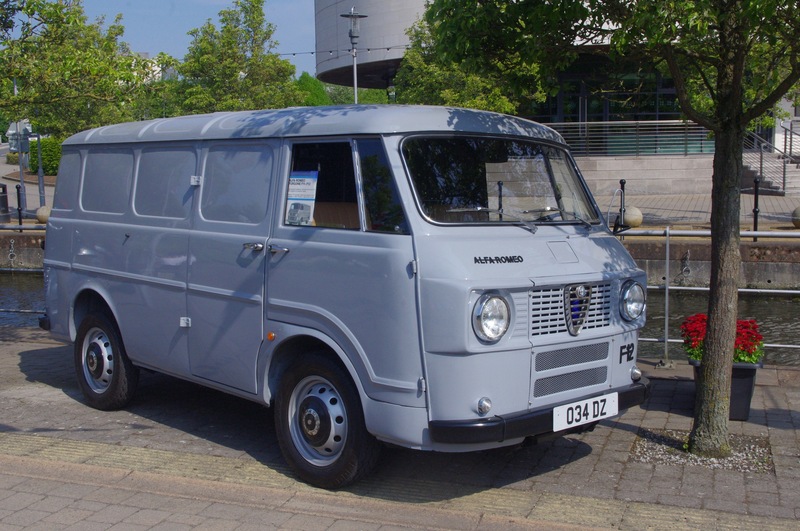 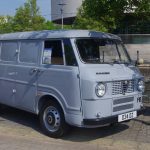 Also a first for our annual show was the presence of a 1968 Alfa Romeo F12 Furgone van, courtesy of Patrick Hurst. 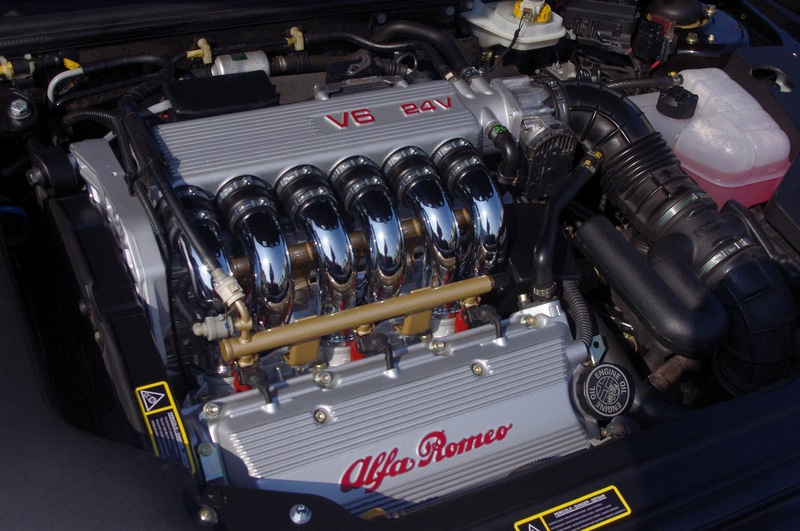 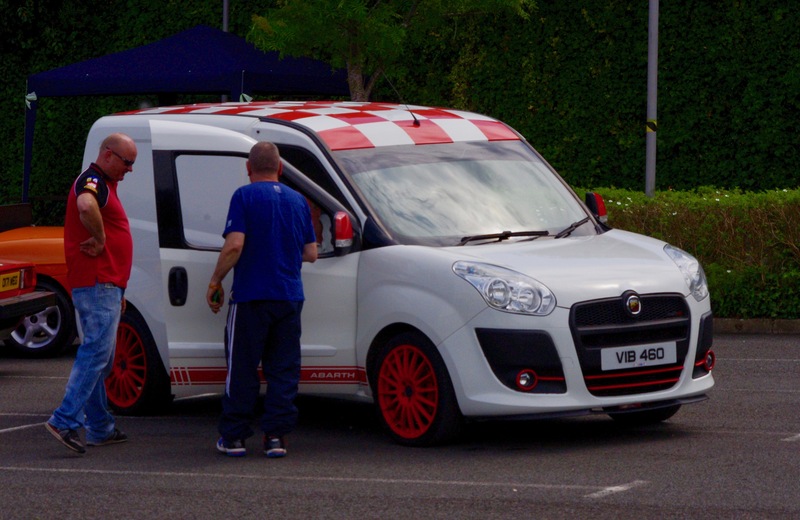 It drew many admiring looks from enthusiasts and puzzled glances from those who never knew that Alfa Romeo made vans. 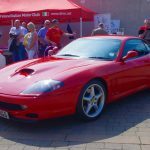 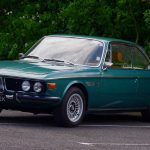 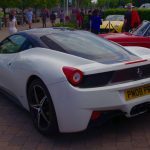 Many of those attending the event were repeat visitors keen to attend what has become a must see show in the car enthusiasts calendar of events. 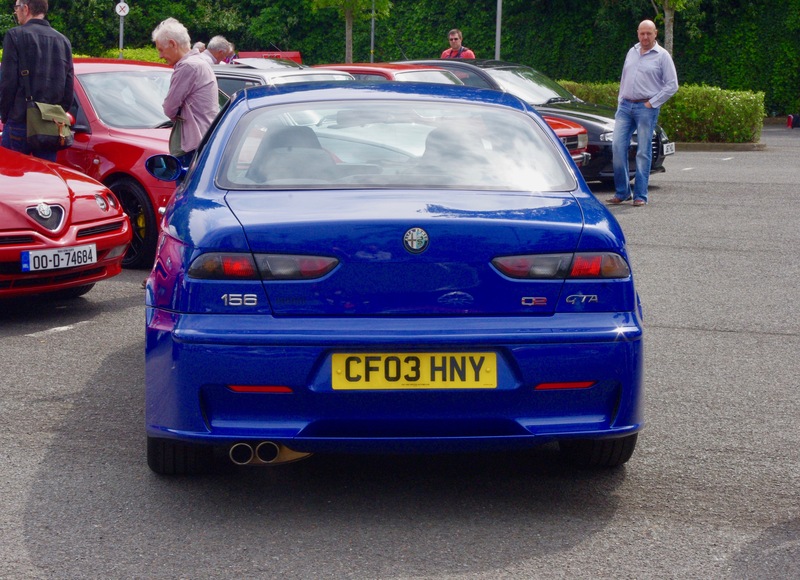 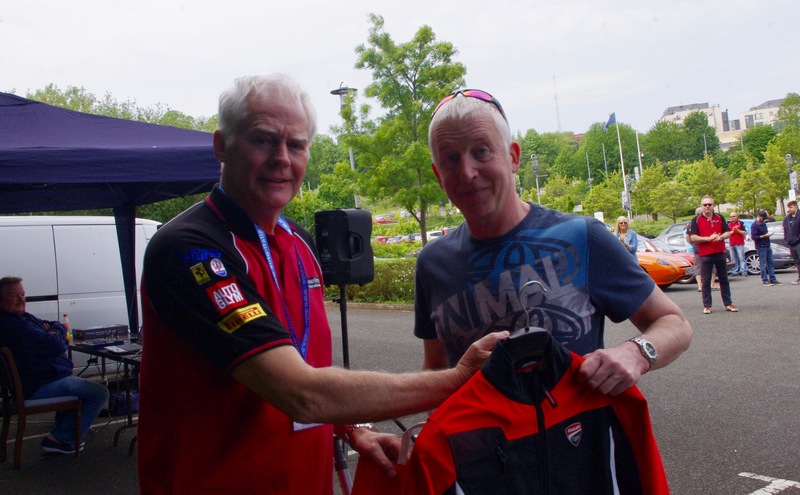 Others had joined us for the first time but all were agreed that the show had the essential ingredients – a friendly and welcoming atmosphere, a fantastic range of desirable cars and bikes as well as food and facilities in close proximity in the Civic Centre at LVI. 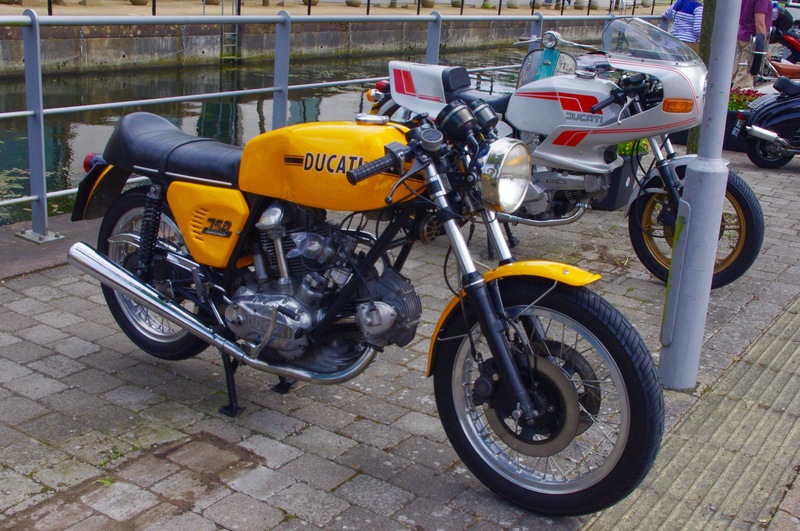 During the course of the day cars and motorbikes arrived and exited the Gregg Street car park which maintained the interest levels throughout. 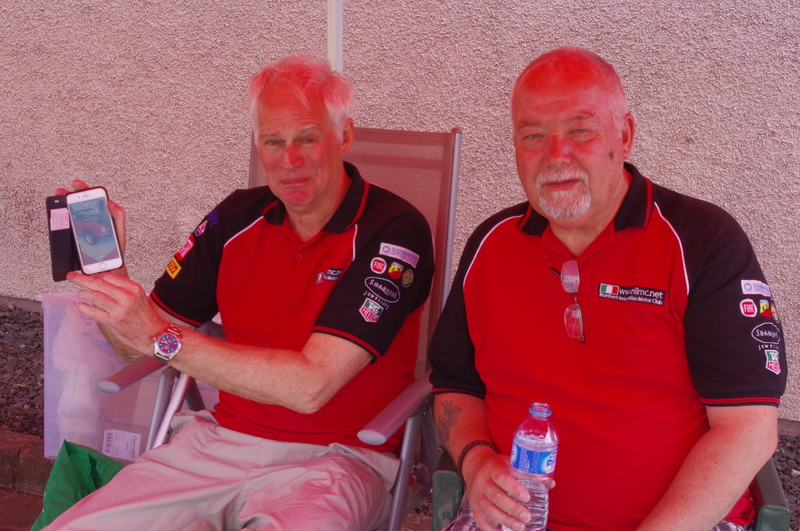 We are extremely grateful to everyone, who made the effort to come to LVI even if it was only for a short period. 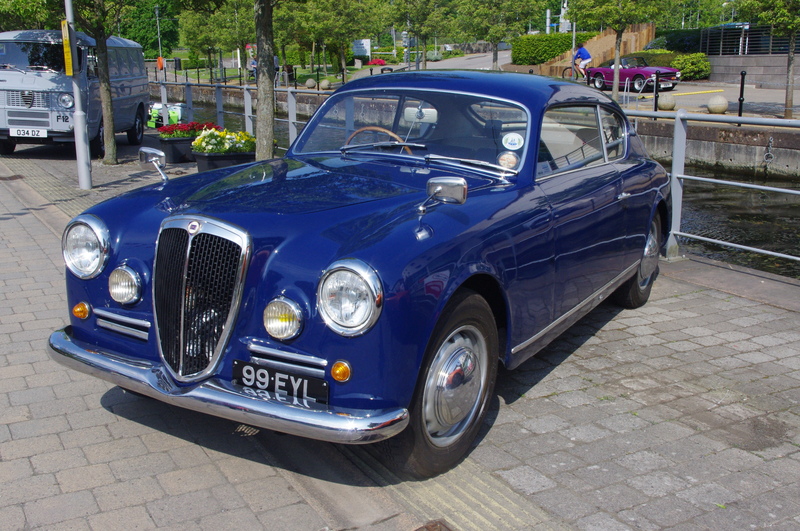 We appreciate the many other competing attractions that the end of May bank holiday weekend has to offer. 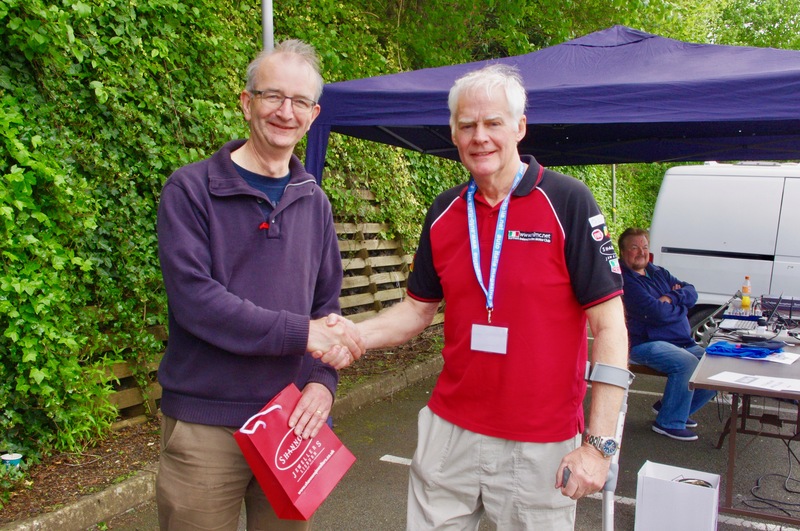 Towards the end of the show a number of prizes in various categories were awarded and our thanks goes to the sponsors and exhibitors for their generosity in donating these to the worthy winners. 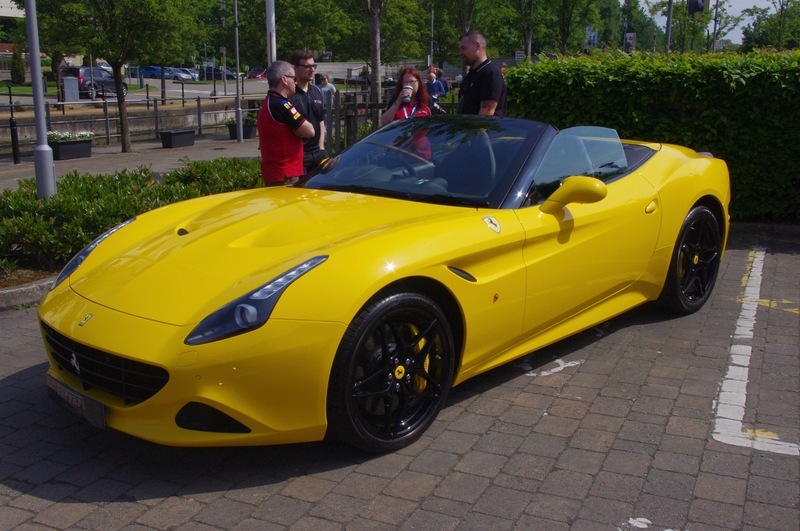 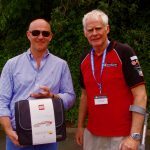 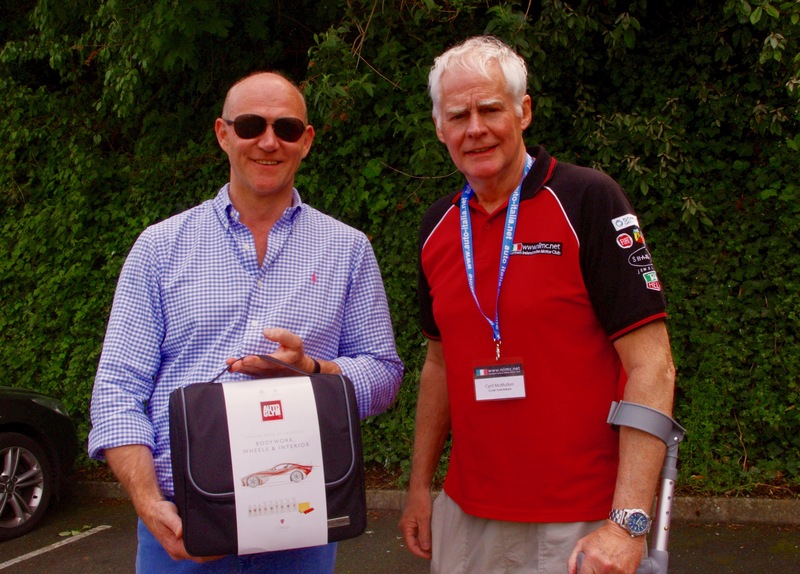 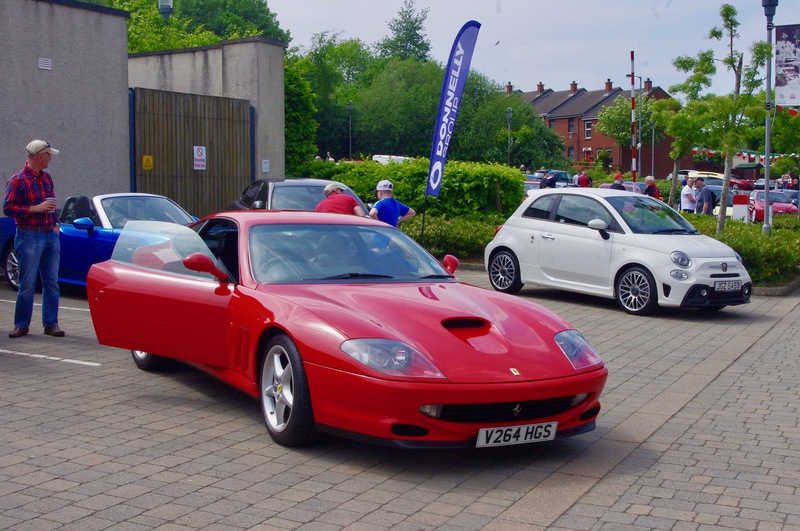 Prizes included the best Italian supercar which went to James McKay’s Ferrari 550 Maranello (previously owned by pop artist Jamiroquai) and a Ducati 600 Desmo scooped the prize for the best Italian bike. 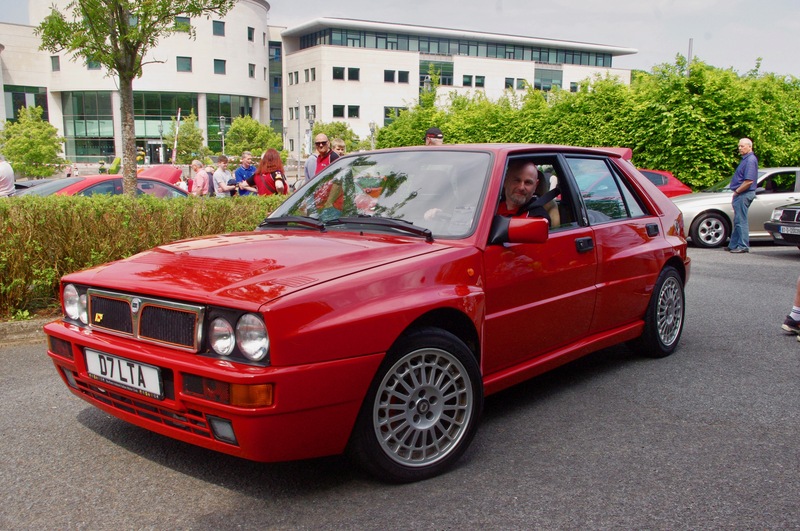 The overall Best in Show award winner (re-named the Herbie McBratney Cup) in memory of our much missed former member was Peter Simpson for his iconic and beautifully presented Lancia Delta Integrale. 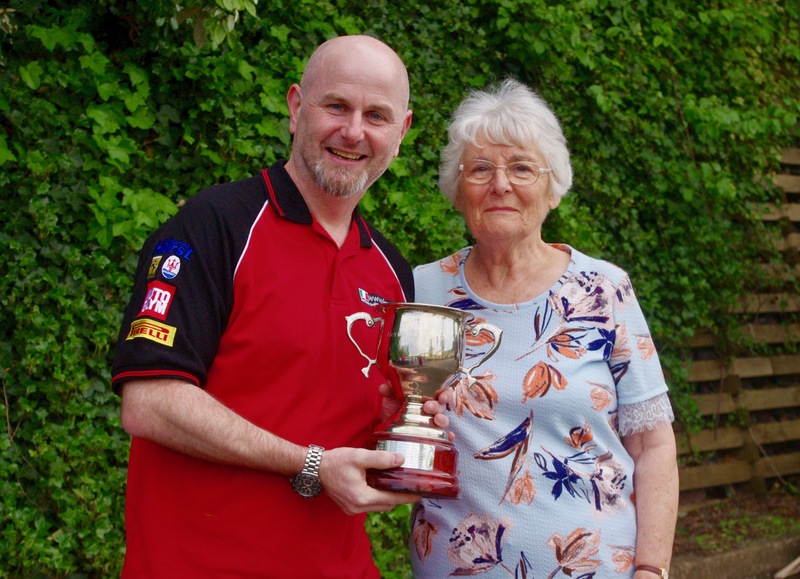 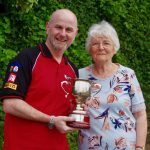 It was fitting that Peter was presented with the Best in Show Cup by Anne McBratney who paid tribute to NIIMC members for the friendship they had developed with Herbie over the years. 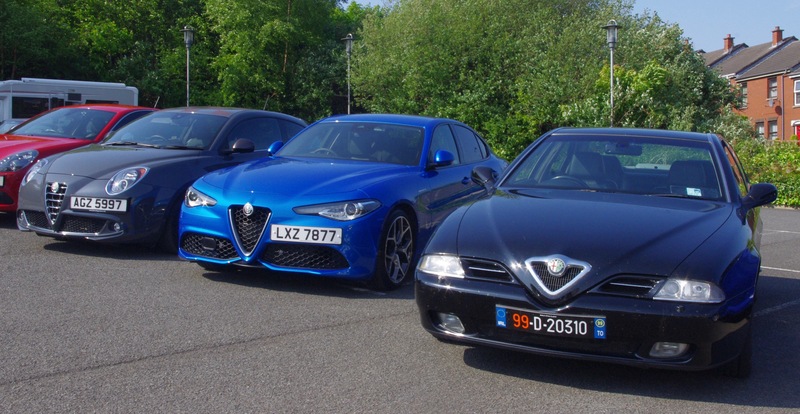 So, all in all another fabulous event and a great opportunity to showcase Italy’s finest. 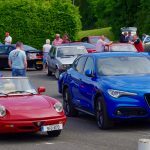 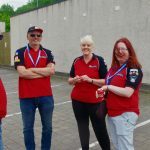 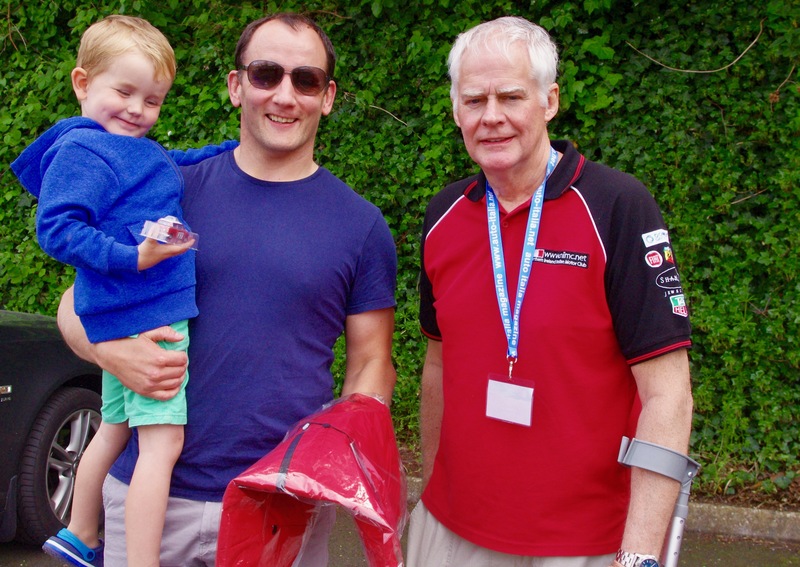 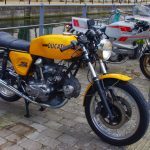 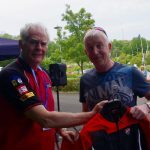 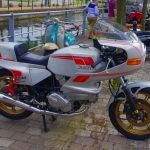 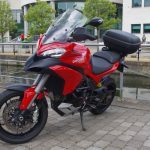 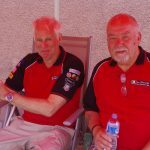 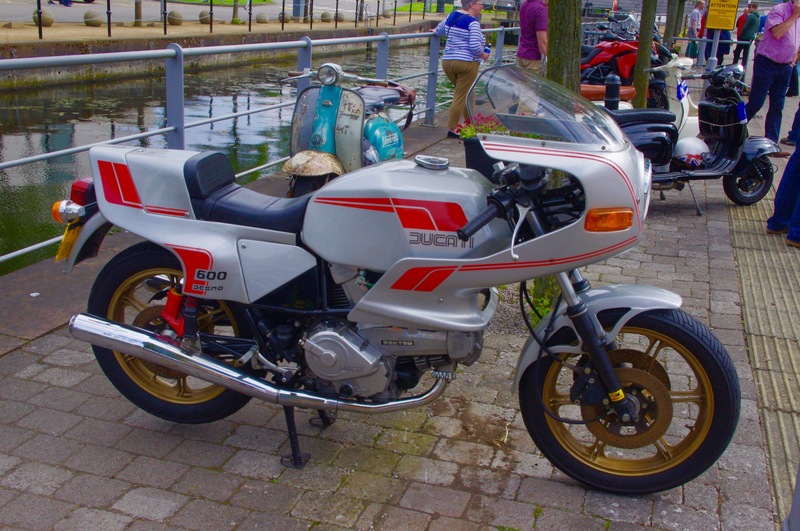 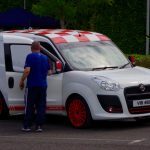 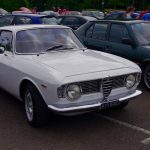 It was a real team effort but as ever the success of the event is dependent on Italian car and bike enthusiasts attending and bringing their much loved two and four wheeled vehicles along for others to admire. 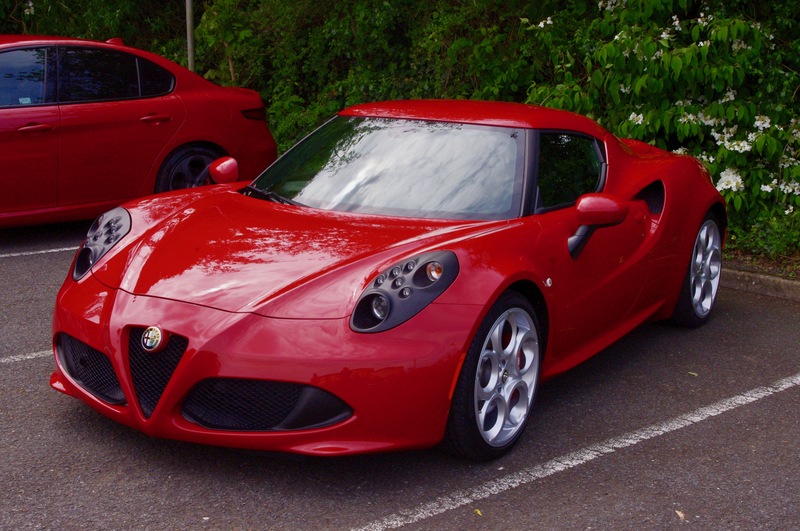 Ciao for now ….until our next show.